Advisers use the button below to direct connect to the National website to login and affiliate your chapter! Advisers, when affiliating your students as comprehensive or occupational, please refer to the membership affiliation chart found below. If you would like your own copy, please find the PDF file below. For Information Regarding Middle School Affiliation Please Click Here! 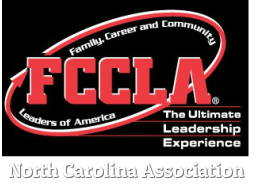 For more information and details about affiliation click here to visit the About Us NC FCCLA Affiliation.